Not much is known how it exactly started besides being a central point between all the kingdoms. Think a megalopolis of modern world, with magic as technology, and while things normally go horizontal, things go vertical here instead. The city rises with both status, architecture, and the ability to see the sky as you get higher up. Upper crust living is a reality, as the lower class live in the main level or below ground where the air quality if awful. Almost everything is imported here, not exported. 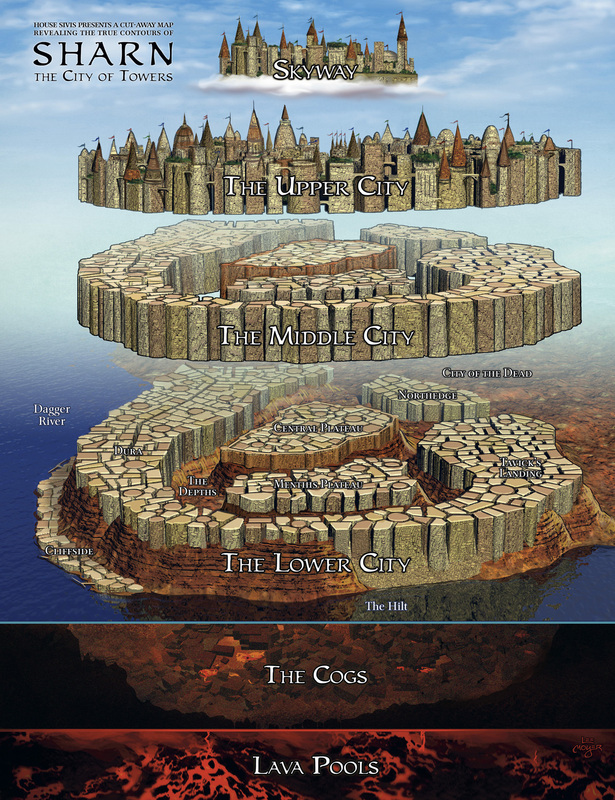 The Nexus is the most populous city in the mainland. Rising vertically rather than expanding horizontally, this city is perched on a cliff, surrounded by mountains in the back, lightning rails leading up to the main gate area, as well as airship docks toward the top layer. The rich live closer to the fresh air and sun, whilst the poor live on the main level, and even more poor live below that to basically slave conditions. People can take hover cabs driven mostly by goblin cabbies to access all levels easily, though, like any city, some places are restricted by guards or gates or similar. Crime is pretty high except for the very top level as people are desperate to make it in the city where nothing is really produced, but everything is imported due to its great trade location. Thus while a lot of wares can be had there, as well as jobs, surviving from day to day is always a struggle for the non adventuring class or rich. Of course, people may ask why they don't move? A typical airship ride, or even a lightning rail one would bankrupt most people, and still, they'd have to make the journey out into the more dangerous lands surrounding the place which were once fertile farmlands when the Nexus was originally built but is now home to dangerous lizardmen, fey, whatever other creatures you'd like to add. Thus the Nexus is a great launching pad for adventures, but a terrible city to live in unless you're an adventurer or extremely rich. The Nexus is connected to Dragonport by a long journey on lightning rail, most people do not take this one as it is expensive, and long. 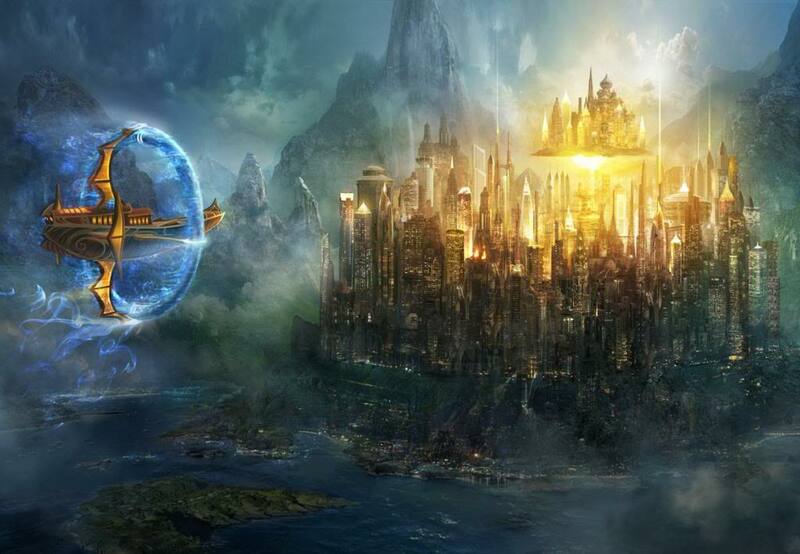 People in the Nexus area have limited leylines, divine access, or a mind fog in the region as much of the land has used it resources of those to power the magi-tech around the area. Thus they can teleport in, or similar, but not teleport out. Antiqueshop - Located in the upper middle level, this shop…. 1 Fox meets cat 03-02-2013 Mentioned by one half-dead (from fear) thug intimidated by Yagiuma. Their boss (Argus) operated there it seems. 2 A double-edged... deal (part2) 04/26/2013 The Elric's Bay barkeep was seen taking medicine of Nexus' design. 3 Collaboration. 09/21/2013 The imperial ploy which pretty much boiled down either slow assimilation/conquest of many lands, including the Black Marches, was revealed by Garvik Stonebound, the founder of N.F.F and a direct descendant of the founders of Nexus.